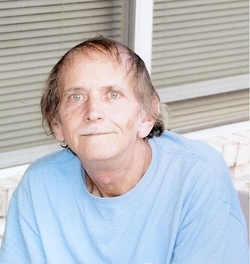 Ludowici-Donnie Willis, 62, passed Tuesday, April 3, 2012 at his residence under the care of Heartland Hospice after an extended illness. He was a native of Emmanuel County, a member of the Painter’s Union #1169 for 20 years and an avid Georgia Bulldog fan. He was preceded in death by his father, William L. Barney Willis; a brother, William Dale Willis and a sister, Janice Estelle Willis. Survivors are his ex-wife, Tina M Daniels; a son, Shannon Lee Willis; a daughter, Dana Lynn Shead and husband Kris; his mother, Jettie Freeman and husband Lamar; two brothers, David Willis and wife Brenda and Darrell Willis and wife Kim; a sister, Sherrie Hendrix and husband Eddie; three grandchildren, Breena Willis, Kris Tyler Shead and Shelby Lynn Shead; several nieces and nephews also survive. Visitation will be held Wednesday, April 4, 2012 from 6-8 pm at the funeral home. Funeral services will be held Thursday, April 5, 2012 at 11 am at Howard Jones Nobles Funeral Home Chapel. Interment will be at the Heath Cemetery in Soperton at 3 pm.